Glencarin Station is in dire need of a housekeeper to run it and city girl Cally Jones leaps at the chance. Set just below Blackpeak Station in the rugged high country of the South Island, Glencarin is the home of the gruff Carr Fergusson and his son Ash, who has recently returned from Argentina. After a few disasters Cally settles in rapidly to high station life and even learns to ride. Then Ash’s girlfriend turns up……. Ella is loving her new job as a job as a photography assistant and is constantly jetting around the world on assignments for weeks at a time. This makes it difficult to find time to enjoy her relationship with Luke, who has a life firmly embedded in New Zealand. Then Ella is offered the opportunity of a lifetime- in New York. 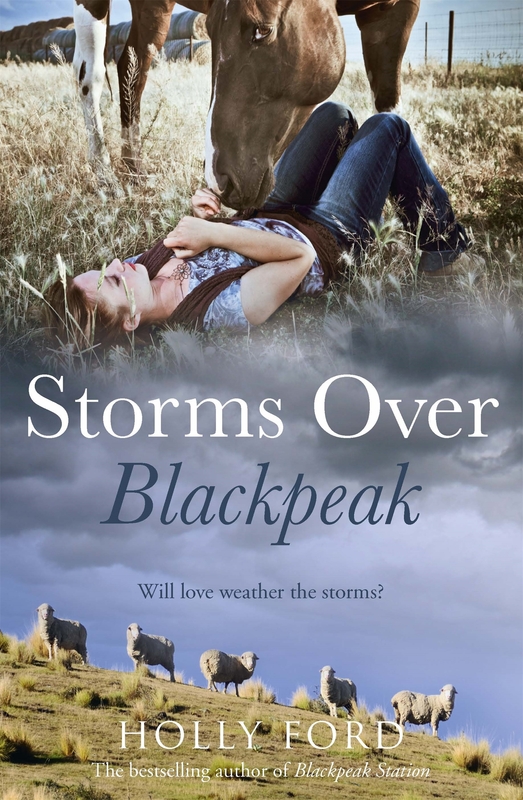 Another charming read by Holly Ford that continues the Blackpeak story and lets us see how favourite characters are doing (was amused to find out Richard’s latest project). The action is from one character’s POV then the next chapter rewinds the time period to show another’s POV, which takes a bit to get used to but quickly makes sense. A great read, Holly Ford is on my must-read list and I look forward to her next book.